For the past few years our neighborhood has hosted an impromptu “Wobble Before You Gobble” Thanksgiving day walk. While I always enjoyed it very much I’ve been dying to try the official Oceanside Turkey Trot. This was the 10th anniversary of a race that’s known as the eighth largest Turkey Trot in the country, and the medal and race t-shirt were adorable (not to mention the unbelievable registration price of only $36). It was enough of a push for me to sign up even though I knew I’d be just a week or two postpartum (I ended up being 12 days, to be exact). In an effort to increase activity in my own chapter, I encouraged the local San Diego, Carlsbad, and Menifee/Murrieta/Temecula chapters to join one large Moms RUN This Town team. We ended up with about 28 team members and I have a lot of ideas of how to break this record next year! We tried to organize a group picture between the end of the 10K and start of the 5K, but it was a little difficult to coordinate everyone. It was fun hanging out with the small group that I did manage to meet and I loved everyone’s outfits/costumes. It was cool and cloudy that morning and the the tide was very high! One of the best parts of this race is a course that goes right next to the ocean, and the waves were actually crashing up against the seawall and over into the road. I walked the race veerrrry slowly and took in the scenery and costumes. Free race pictures! How cool is that? As I finished with my new slowest 5K time, I thought about how far I had come and how proud of myself I was. A year ago I probably wouldn’t have met up with anyone at a race, let alone organize a group as a MRTT Chapter Leader. And after my first daughter was born I waited MONTHS before I got back into regular exercise. It just goes to show that when you finally find your groove, your tribe, anything is possible. Thank you Oceanside for putting on a a fantastic event. I can’t wait until next year. I guarantee Moms RUN This Town will be making a legit run for the largest team! 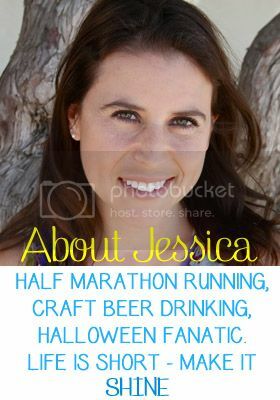 Categories: Holidays, Race Recaps, Running | Tags: O'Side Turkey Trot, Race Recap, running, Thanksgiving | Permalink.